We all have lenses we put on to see the world. Some of them we choose and others we are born into. Being a white,straight, middle-class American is a privileged lens for me. Being a woman, a working mother, an adoptive parent, a counselor, a person of deep faith… these lenses get a little more delicate and sensitive at times. Over time, both my mother lens and my adoptive mother lens continue to sharpen. One realm where I find them rear their heads often is in the consumption of entertainment. Frequently in movies, especially children’s movies, adoption is depicted as the unfortunate result of tragic death or appalling deception toward the biological parents. Typically along this story line, caregivers and adoptive parents are portrayed as evil or unkind in some way and the redemption comes when the hero is reunited with his or her biological family, or at least differentiates from the adoptive family in some symbolic and permanent way (e.g. throwing one’s evil adoptive mother off a cliff). Watching some of the same movies I enjoyed as a child with an adult lens is eye-opening enough, but when I put on the lens of adoptive parent, I am doing two things at once. I am viewing them critically for appropriateness and deeper meanings, and I am also trying to see them through my son’s eyes. At times, I can almost feel his brain moving, trying to make sense of how his own story fits or doesn’t fit. Although this is in no way comprehensive, I have put on my adoptive parent lens to provide some examples of themes I see in certain children’s movies that relate to adoption- 2 themes that may create tension and confusion for adopted children and a third theme that I see as positive and even hopeful. Risk for Adopted Children: The tendency to over-romanticize birth parents, leading to tremendous let-down and confusion. Hercules: The evil uncle kidnaps baby Hercules and tries to kill him. Good people find him and raise him, and as soon as there is reconciliation with the birth parents (who happen to be gods), there is no more mention of the kind, loving adoptive parents again. Hercules always felt different, and it all comes together for him when he learns he is the child of immortal beings. He spends the rest of the movie trying to “earn back” his god-like status so he can live with his birth parents on Mt. Olympus. 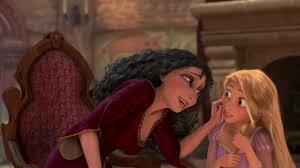 Tangled: Oh Mother Gothel… She gives ME nightmares. A horrible witch steals a magical baby, creates a codependent and abusive parental dynamic with her and exploits her child in exchange for youth. Rapunzel longs for the Magic Lights that occur on her birthday every year, which she later learns is her birth parents’ commemoration of their little princess who was stolen from them. Redemption happens when Rapunzel finally learns the truth, stands up to her evil adoptive mother, and is eventually reunited with her birth parents (the king and queen) after her adoptive mother shrivels up and falls out of the tower. Bottom line- Rapunzel is going to need to A LOT of therapy. Theme 2: Social service systems can NEVER be trusted. Risk: Foster care and adoptive children may become mistrustful of anyone connected to government services or law enforcement and believe they must stay in negative situations because no one will help them. Pete’s Dragon: Don’t get me started. My sister reminded me recently of how horrific this movie is. A sweet orphan boy is bought like a slave, physically abused, treated like property, and the only thing keeping him from having to go back to his ruthless adoptive family at the end is the destruction of his “bill of sale”. Yuck. If you think of this movie fondly and want to keep it that way, don’t click on the hyperlink on the film title. Theme 3: It is natural to feel conflicted about being adopted. Benefit: By seeing this in movies, adopted children are given permission to wrestle with this struggle and to honor the complexity and tragedy of love and loss. Tarzan: Ironically, this may be my favorite children’s movie about adoption. Orphaned baby is found by a female gorilla and adopted as her son, and, despite the obvious species difference, is embraced and loved. My favorite part of this story is when his wonderful adoptive mother gorilla gives her son room to explore his origins without making him feel guilty or choose. In the end, by giving him the room to do this, he chooses to embrace both his biological humanness (by marrying Jane) and the environmental and familial influence of his gorilla community and family. 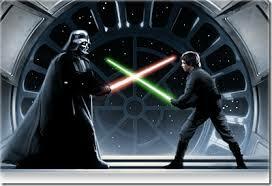 Star Wars: I think we can all agree that Luke and Lea were better off being adopted. Finding out his father is Darth Vader is not an easy pill for Luke to swallow, but he wrestles with it and grieves the father he never knew and even finds room to love his father for who he is now instead of holding on to a fantasy of who he once was. There are many more examples of movies that depict adoption both in positive and negative ways. My motive is not to dampen anyone’s viewing of these movies or force any agenda. 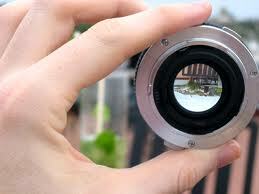 My intention is only to provide a lens that I didn’t have two years ago. And since this is one of the lenses my son will use to see things through for the rest of his life, I will too. And I pray that he will stretch himself to put on other lenses that are not as familiar to him so he can learn to see the world from other perspectives as well. I want to be a critical consumer; an attentive parent; a thoughtful woman; a follower of God; an ally to the oppressed and marginalized, whoever they may be. This means I will have to be uncomfortable at times and stretch beyond my own worldview. What are some lenses you wear that shape how you view entertainment and see the world? What movies should I re-watch from these lenses to foster deeper understanding and challenge me to expand my perceptions? Help me see things through your eyes. This entry was posted in Adoption, Emotional Health, Motherhood and tagged children's movies, Disney, Media, orphans on June 26, 2014 by karinfields.